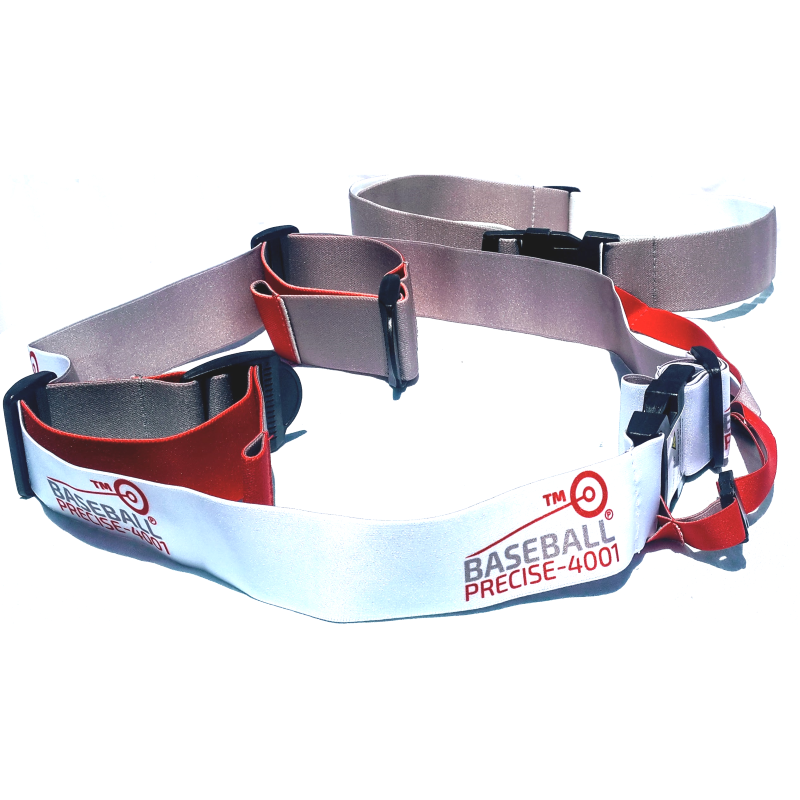 All-In-One baseball power trainer for pitching, hitting, and fielding. Our trailblazing baseball trainer produces 360 degrees of Exoprecise® ℗ (WIPO) resistance, harnessing the natural movement of your elbows to strengthen baseball muscles, trigger arm/bat speed, improving your mechanics; during practice as usual, intrasquad, and working out at home (Sport Precise training). Adjustable to fit all sizes, see more in the tabs below. EXOPRECISE: The driving force behind our Baseball Precise-4001, accommodating throughout repetitive baseball movements in an “automatic” state of mind. Critical to activating, stimulating, and strengthening; baseball muscles. Anchoring at the elbows, surrounding your torso, producing 360 degrees of Exoprecise resistance. Reacting to the movement of your elbows, in any direction. Simultaneously expanding, contracting, and morphing to your automatic movement; igniting speed, strength, and precision. COMFORTABLE: Silky-smooth, lightweight, and intuitive design; accommodating an unrestricted range of motion for Sport Precise training. Option to wear the anchoring band around your waist, or inside your belt loop. Remove either arm for isolation drills. MECHANICS: Throughout practice, our unrivaled baseball trainer exerts the precise amount of resistance to your elbows, navigating the optimal distance from your body; improving mechanics, and fixing mistakes. STRENGTH: Moving the elbows away from your body creates an outward pushing force, producing the precise amount of resistance to strengthen automatic baseball muscles. Raising your elbows demonstrates the basic principles, as Exoprecise resistance strengthens the thoracic core, obliques, intercostals, abdominal, releasing triggers the acceleration back to your body, stimulating the acceleration/deceleration muscles of your shoulder; nurturing fast-twitch muscle fibers.